If you have the impression that healthy foods are dull and tasteless, you are gravely mistaken. On the contrary, healthy natural foods, particularly snacks, are not only rich in flavor, but will also keep you energized much longer than processed foods. There are a large variety of such natural snack options from which to choose. Natural oats (oatmeal) make for a healthy and filling snack. It is one of the best carbohydrate sources since it is unrefined, hence contains all the natural fiber. This natural fiber contributes much to the feeling of fullness when you eat the snack. Therefore, you will be satisfied after taking in much less calories than would be the case with refined carbohydrate sources. If you are feeling particularly hungry in-between meals, then such a snack will be highly appropriate. 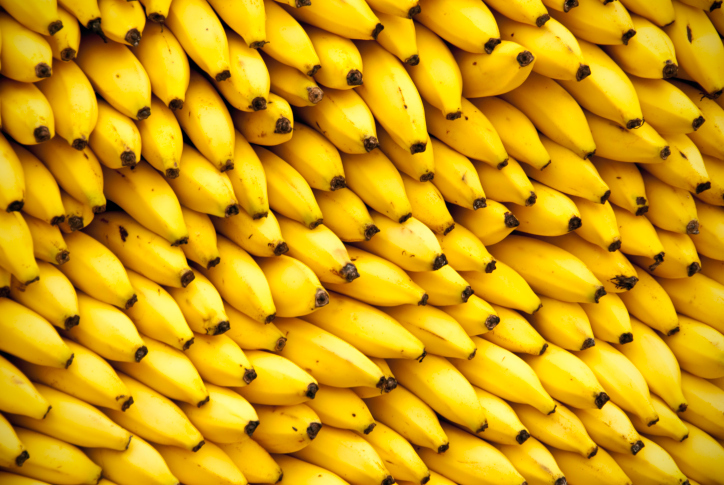 Bananas are probably the most convenient and filling snack that you can have. Having a good-sized banana is sure to boost your energy needs and also keep you feeling satiated for a long time during the day. Furthermore, the potassium-filled bananas are a great benefit for your heart. This is because the potassium aids in maintaining optimum blood pressure. This is definitely a good thing considering that other refined carbohydrate sources have the tendency to cause heightened blood pressure. Having an apple for a snack is definitely a welcome treat. This fruit is sweet to the taste and also rich in revitalizing natural sugars. Apples are also choke-full of minerals and vitamins that are beneficial to your body. The presence of vitamins and antioxidants in apples means that you will not only get energized by eating this fruit, but also get a boost to your immunity against various ailments. If you must have some chocolate, opt for the healthy organic dark chocolate. This will not only satisfy your sweet tooth carving, but also prevent depletion of the B vitamins as would happen with refined chocolate. Pumpkin seeds are a good supplement if you are seeking to break the monotony of eating nuts. The pumpkin seeds are just as crunchy as nuts, but a bit lighter. This snack can be quite filling, hence making it a good choice if you have a long period in-between meals. The seeds also contain various minerals and vitamins such as magnesium, calcium, iron and vitamin K.
A good source for healthy fats is the avocado. It is an excellent snack that can be eaten plain or added to salads. Pineapples are not only sweet, but also useful in aiding digestion. Pineapples are a good choice for detoxifying the body by cleansing yourself from antioxidants and other contaminants. The summer season is the best time to relish watermelons. The water-filled fruits can be very refreshing and revitalizing. Eat this fruit on an empty stomach for maximum benefits. This is because, it digest very quickly, hence needs to pass through the stomach before any premature fermentation. Blueberries are sure to boost your energy reserves when eaten in-between meals. Moreover, these fruits help promote brain function, thus making them a good snack in situations that need mental concentration. Granola that has only gone through limited processing or even raw, will make a healthy and filling snack during the day. Only make sure to avoid the varieties with added sugar. Alternatively, you can make your own granola using buckwheat groats. Strawberries make for a sweet and healthy snack. This fruit energizes your body with natural sugars and gives long-lasting energy for your body. 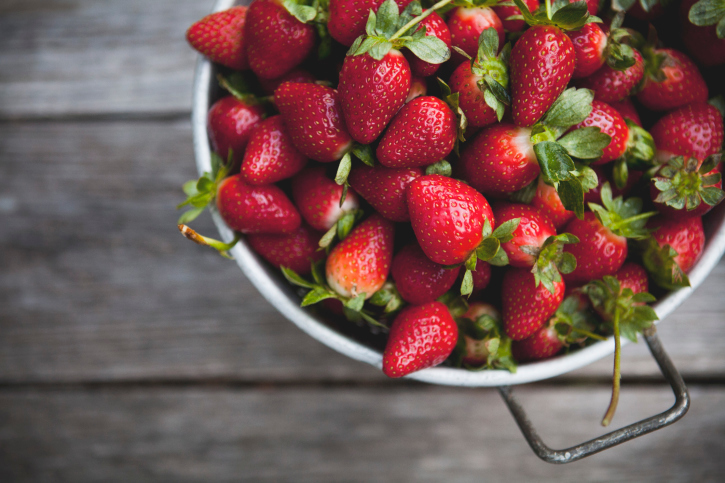 Strawberries are also rich in vitamin C, fiber and biotin. This helps boost the immunity of the body as well as enhancing skin tone. Sauerkraut is an excellent snack especially because of its probiotic characteristics. This means that it helps create vitamin B, hence contributing to a long-lasting supply of energy within your body. A smoothie is an extremely healthy snack: the drink is packed full with many types of greens, which makes it rich in enzymes, vitamins and minerals. Adding a bit of fruit makes it a healthy energy drink that can help sustain your body’s energy needs for long periods throughout the day. A hot summer afternoon can do with some cooling coconut water. This refreshing drink helps in rehydrating and detoxifying as well as energizing the body. Snacks are a great way to boost your nutrition as well as your energy levels. The right snack can stabilize your blood sugar and give you a sense of fullness and well being. Not to mention it can give you the big boost of energy you need to stay focused and get things done. A good amount of fiber can also keep you full for longer without getting that cranky feeling of fatigue between meals. Here are 13 great snacks that are nutritious and will give you steady energy to keep you going no matter what kind of day you’re having. This easy breezy snack comes with a whole lot of nutrition. The blueberries provide a power punch of antioxidants and Vitamins A,C, and E while the yogurt provides levels of calcium, iron, and pro biotic bacteria that are beneficial to the digestive system and help maintain a healthy stomach. The combination of fruit and yogurt as well as the natural sugars will provide a steady supply of energy to keep you focused all day long. Apples have mega doses of Vitamin A, C, and E, as well as fiber, folate, and trace minerals such as copper your body needs to run. The fiber in it will keep you full and satisfied, and the complex carbohydrates are exactly what your body needs to operate at top function. 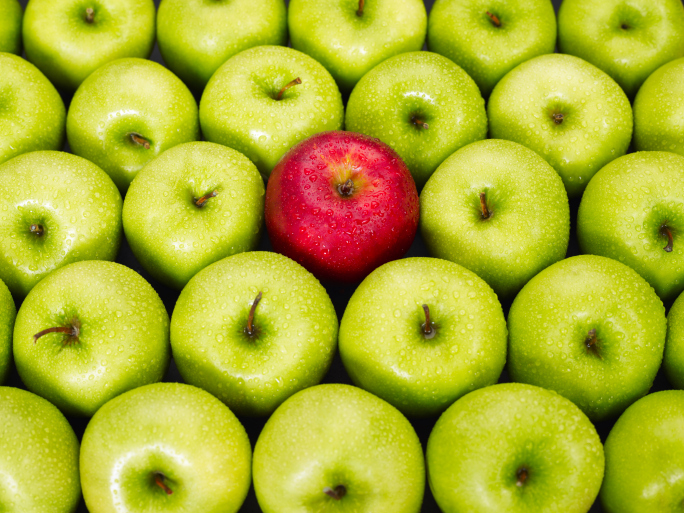 Studies have suggested that an apple can even wake you up more than a cup of coffee. Make it your go-to for an at work or post-workout snack. You can microwave your oats or make oatmeal on the stove,depending which is easier. Substitute milk for water for extra calcium content. Walnuts provide antioxidants, selenium, and Omega 3’s, good for heart health as well as brain function. Cinnamon has calcium, iron, and manganese and regulates blood sugar, lowers bad cholesterol, and has anti-infection properties. Oatmeal provides a steady source of iron and carbs that will keep you full and your mind steady, ready to go to work. The carrots and celery do most of the heavy lifting here. The carrots provide beta carotene and vitamins while celery’s tremendous fiber and Vitamins A, C, E content as well as white-cell-boosting properties make it a snack must-have. Make your own bran muffins with flaxseed. The bran provides fiber and filling calories while the healthy, anti-inflammatory fats contained in Flaxseed give your energy a boost and reduce disease. Grapes have a bunch of minerals and minerals such as copper and selenium. The antioxidants in grapes boost energy, and the natural sugars in the fruit balance blood sugar. The water content in the grapes will provide hydration while being a refreshing source of energy. The dried cranberries have Vitamin C and natural fructose. Cashews have copper, manganese, and tryptophan. 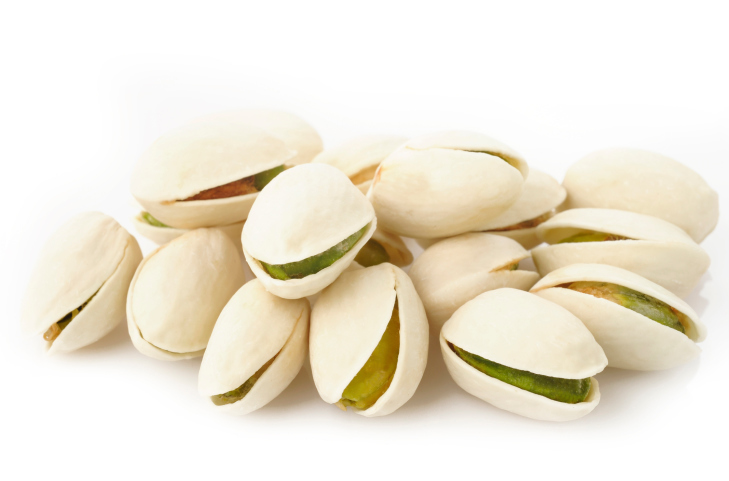 Pistachios have levels of healthy fats and iron that provide long lasting energy to keep your motivation high. The potassium and electrolytes in the banana will give your system a boost while the protein from the peanut butter and carbs from the bagel keep you satisfied for an hour or more. It’s an energy power punch, and it’s delicious. Toast a bagel lightly and spread peanut butter on it; apply banana slices and another bagel slice to make a sandwich. Kale is a powerhouse, with Vitamins A, K, C, which boost energy levels. The minerals and folate as well as healthy fats from frying it in butter and the added health benefits of coconut oil make it the ideal snack for reliable energy. The minerals in the butter as well as fat of the cashews combined with the stable carbohydrates of the whole wheat bread providing steady nutrition that will keep you full and focused for hours at a time. These tiny seeds have big nutritional power: with proteins, healthy fats, and iron and other minerals, Pumpkin seeds also help your body convert energy better, making their benefits doubly effective. Fresh watermelon is flush with Vitamin C and lycopene, and is a cancer-fighting food as well as classic staple snack. With its water weight, it may not be very filling, but the antioxidants in a few slices of watermelon as well as natural fructose will up your energy in no time. Being dehydrated can cause your focus to drop. Drink some ice water to replenish your body & enjoy the fructose and Vitamin C energy-boosting benefits from eating an orange to keep you feeling invigorated & great!